Thanks to product reformulations over the years, our salt intake in the UK has reduced significantly! 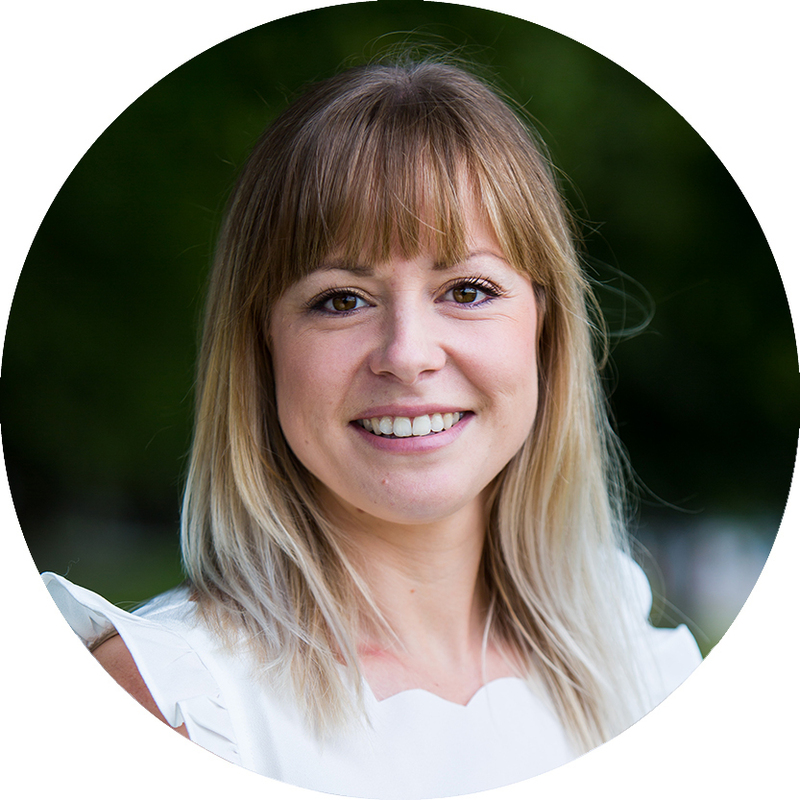 BUT it's still higher than we'd like, with the average intake being 8.1g per day – 2.1g above the recommended 6g maximum. Knowledge is power – so check out these 6 sneaky sources of salt that may catch you out. 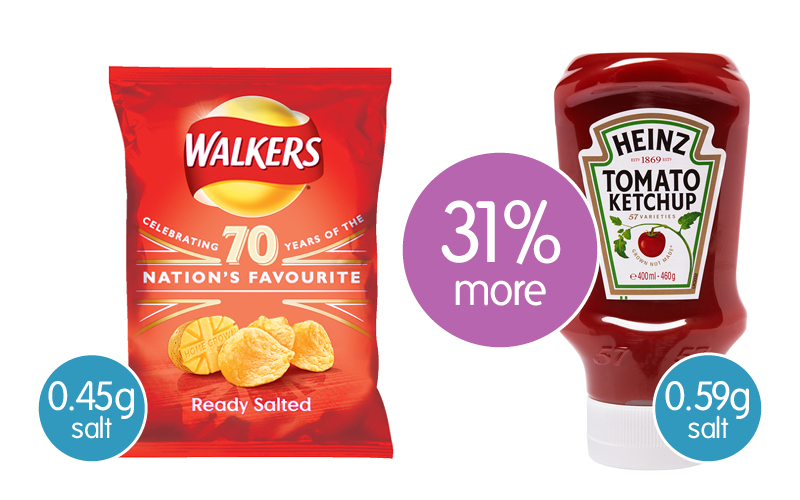 One heaped tablespoon of Heinz Tomato Ketchup has 0.14g more salt than a 25g bag of Walkers Ready Salted Crisps. 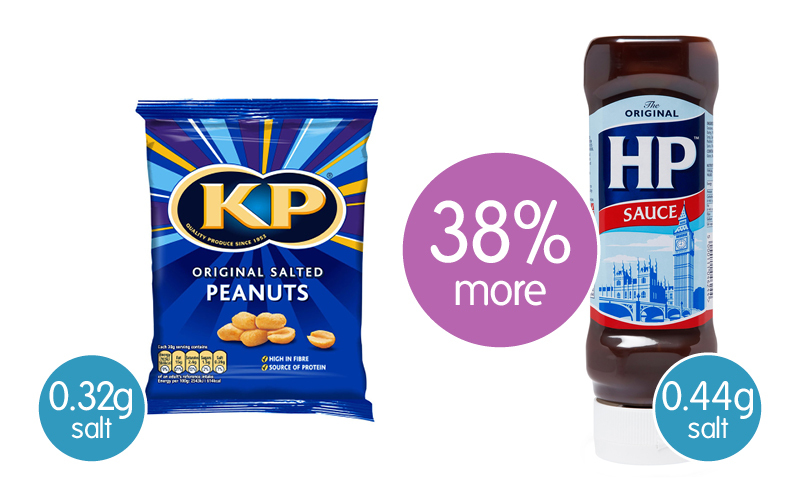 One heaped tablespoon of HP Original Brown Sauce has 0.12g more salt than 25g serving of KP Salted Peanuts. 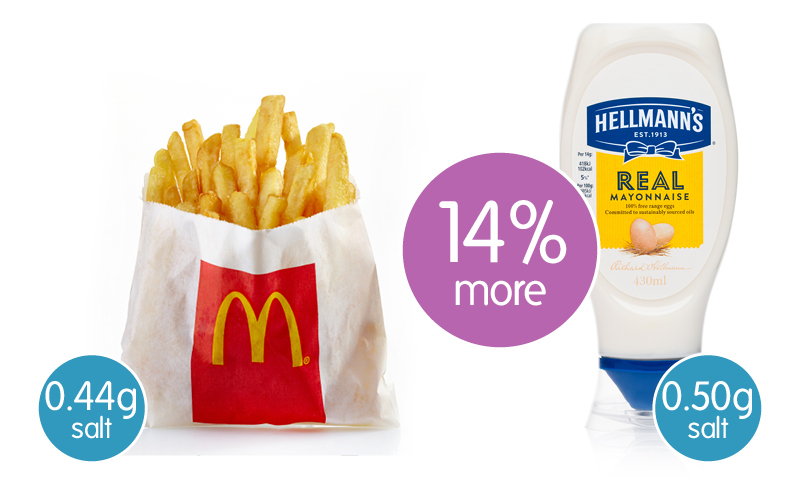 One tablespoon of Hellmann's Real Mayonnaise has 0.6g more salt than a small portion of McDonald's French Fries. 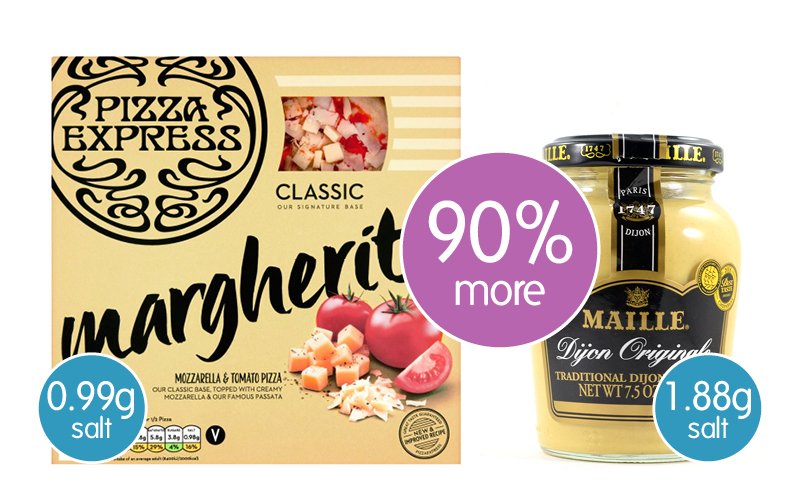 One heaped tablespoon of Maille Dijon Mustard has 0.89g more salt than a Pizza Express Margherita Pizza. 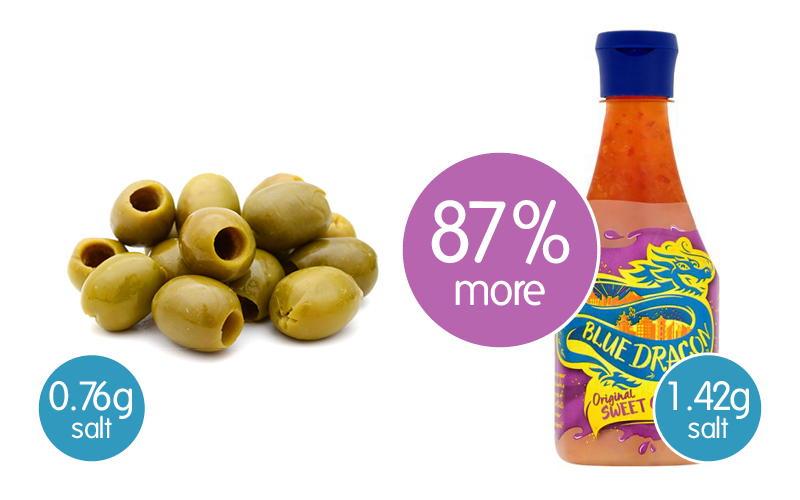 One heaped tablespoom of Blue Dragon Sweet Chilli Sauce has 0.66g more salt than a 15g serving of olives. 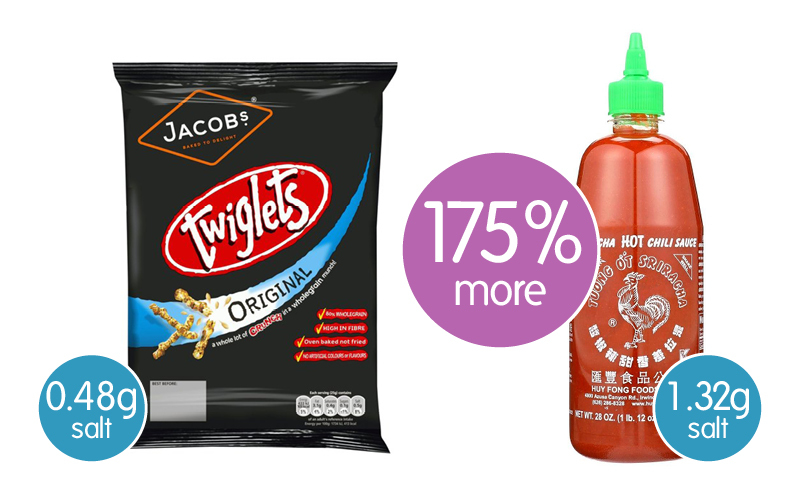 One heaped tablespoon of Sriracha Hot Chilli Sauce has 0.84g more salt than a 24g bag of Jacob's Twiglets Original.